It’s just four weeks since the launch of the Golden Globe. Much has happened in this short time and the news has bounced around the globe yet still today, I received another intent to compete from a young French Class Mini sailor who only heard of the race yesterday. The weeks ahead will prove interesting as the story prints in magazines and more applicants will surely come. The level of support and goodwill toward the retro concept continue to amaze me, so it seems the future of this adventure and classic race is assured. I see things I wish I could share, but until these sailors go public we must wait. The Golden Globe family now grows with the most amazing group of people, all with their own stories to tell. They are all the types you could imagine, so it will be a colourful circumnavigation of diverse minds , skills and reason. Our plans have had to grow with the scope of the event which is now all too clear. The future is certainly exciting. The final Draft of the Pre-Notice of Race is under review and will be of interest to many. The Golden Globe is for the sailor first and I will work hard to keep it that way, as they are truly the centre of this journey for everyone. As a competitor and organiser my priorities are focused on this and safety. It is not just a trip across the Atlantic but a voyage of real endeavour, where these little boats cannot speed away from Giant Southern Ocean swells under the control of electric autopilots. Instead they will be kept alive and at one with the sea only by the hard work of their captains. I have been there and this is serious stuff. Risk mitigation is my priority, but it is always there and is the reason we will go. 1995 was the year that my friend, 70 year old Harry Mitchell did not live his final dream during the BOC Challenge. He and Hornblower his sturdy 40ft boat went missing after his EPIRB battery died on March 3rd half way between Sydney and Cape Horn. 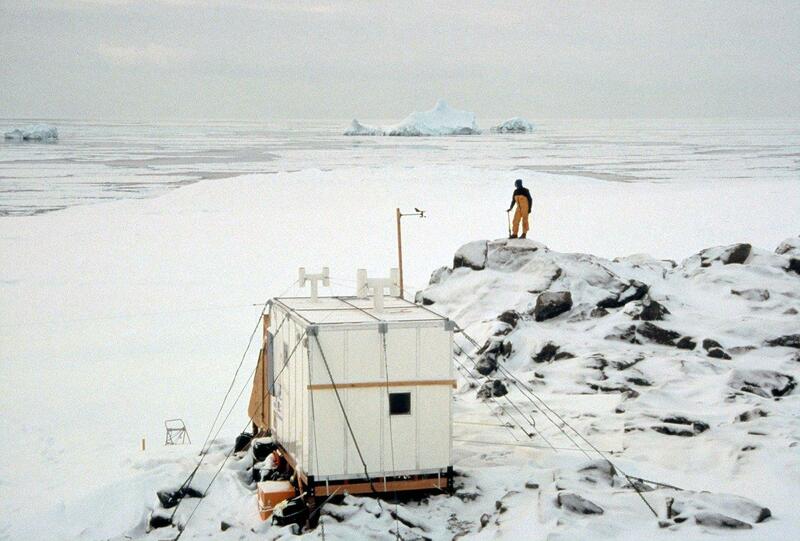 1995 was also the time I lived a year of total isolation in a little box chained to Rocks in Antarctica with my wife Margie. I will never forget the feeling as we waved goodbye to our support yacht and crew on Spirit of Sydney at the beginning of that year. We were alone for the first time with a great adventure ahead. The sense of anticipation was intense. I did not know what was going to happen, I just knew it would. And it did! Something tells me I will live the same emotions on June 14, 2018 as I set sail from Falmouth in BETTY, both for my own circumnavigation and for that of the whole Golden Globe Race fleet. Sometimes I now feel like a father for the first time! This is why I have spent so long developing the Pre-Notice of Race. Some will like what they see, others will dream of no rules. But if adventure is to play the game of bringing people to follow and be inspired, it has to play by sensible rules. I can’t say that I’m in the least bit surprised that you guys have received a ton of interest in the race. It’s a bloody brilliant idea, and it returns ocean sailing to what it has always historically been—a pursuit for hardmen/hardwomen who want to peek just a little further beyond the horizon. I think that this is one of the best evolutions of offshore racing in a long, long time! Concerning all acts of initiative and creation, there is one elementary truth, the ignorance of which kills countless ideas and splendid plans: that the moment one definately commits oneself, then providence moves too. A whole stream of events issue from the decision, raising in one’s favour all manner of unforeseen incidents and meetings and material assistance, which no man could have dreamed would have come his way.